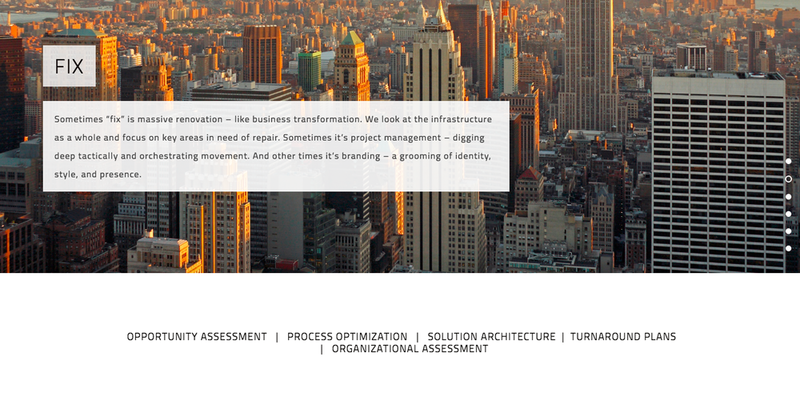 Seismic, a boutique innovation consulting firm, existed to fix, grow, and launch projects and companies. I was lead creative and digital producer on their team for two years, with scope ranging in size and length. My first project was to build the Seismic brand: logo, business cards, digital proposals, website, and the voice of our blog and social media. We arrived at this type logo solution after a few rounds of exploration; there was nothing more seismic than a perfectly proportioned, sans serif caps treatment. The second arm of the Seismic branding included the opportunity to build a cohesive portfolio of beautiful stock photos. Choosing imagery that reflected the energy and values of our team required specific editing and focus. My second project at Seismic was to tackle 809, our co-working space in Third Ward, and give it a look and attitude all its own. The logo, website, and pledge evolved through a couple of iterations, since the tribe of tenants informed much of the structure and tone. "As an 809 tribe member, I pledge to uphold and support the mission and vision of Seismic, which is: to cultivate a creative community of entrepreneurial-minded tribes in Charlotte by supporting their growth with our space in Third Ward. I also pledge to: get to know my fellow tribe members and help them excel. Be a listening ear in the hallway, a thought provoker over lunch, and a furious retweeter of their success. Show an interest in their progress and plan to attend their events if you can. Offer relevant connections from your network."